An affecting portrait of contemporary man. Richard O’Hara waits in a hotel to sign a contract between the Chinese government and a group of Western pharmaceutical companies that will turn him into a rich man. After his stay in Asia, he receives a strange commission: to find a landscape that appears in an old photo. Obsessed with the image, he will embark on a journey around the planet in the company of a woman named Amanda. In this vertiginous thriller, where accidents play a key role, vampires are art collectors, and the director David Cronenberg explains the true spirit of the twenty-first century, Ricardo Menéndez Salmón shows his confidence in literary fiction as an instrument for interpreting our world. 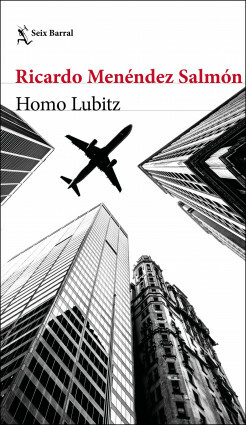 Homo Lubitz is a panorama of the predominant themes in Menéndez Salmón’s work: evil, the quest, art as the sole possibility of transcendence, the unease of living, and solitude. Ricardo Menéndez Salmón is one of the most respected and admired authors in the Spanish literary landscape.